President Ilham Aliyev signed an order to mark the 130th anniversary of mugham singer Seyid Shushinski. The Cabinet of Ministers of Azerbaijan is entrusted to resolve issues arising from this order, Report.az informed. 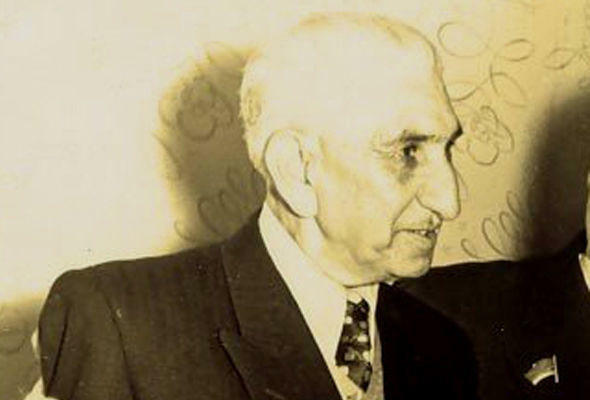 April 2019 marks the 130th anniversary of the birth of Seyid Shushinski (Mir Mohsun aga Seyyid Ibrahim oglu), an outstanding representative of Azerbaijani mugham art, a famous music figure and teacher. The great mugham singer, who possessed a rare, beautiful voice and high scenic culture, enriched the musical treasury of Azerbaijani music. For many years Seyid Shushinski carried out praiseworthy activities in the formation of talented musicians. In order to ensure the 130th anniversary of the birth of recognized master Seyid Shushinsky, the Ministry of Culture is tasked to prepare and implement a plan of events dedicated to the 130th anniversary of mugham singer. Shushinski received primary education at a religious school in his hometown Horadiz. He made his first public performance in 1908 in Shusha, which brought the 19-year-old singer a great fame in the city. At his uncle's insistence, Shushinski completed another 2 years of musical education at Mir Mohsun Navvab's school and was recognized as a professional khananda (mugham singer). In Soviet times, he was a soloist of a drama theater in Baku, and in 1926–1933 he taught at the Azerbaijan State Conservatoire. In 1933, Shushinski and Jahan Talyshinskaya founded the Oriental Music Ensemble which toured Russia, Ukraine, and Kazakhstan. In 1933–1938, he worked as the artistic director of the Fizuli State Drama Theater, still continuing to give concerts in Baku. In 1939–1960, Shushinski was a soloist with the Azerbaijan State Philharmonic Society. In last years of his life, Shushinski was a mugham opera consultant at the Azerbaijan State Academic Opera and Ballet Theater.